Dukes Hotel London hosted C&IT's annual Power 50 reveal last night. More than 100 industry professionals turned up to see C&IT reveal its annual influence index. 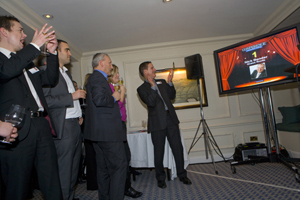 The event included an interactive voting element, provided by Smart AV, with each guest casting a final vote upon arrival. Nick Bender, managing director of Grass Roots Eventcom, was voted number one, closely followed by Nigel Cooper, group executive director at Motivcom.